Arnold Schwarzenegger is the most popular bodybuilder in the world, he went on to become a Hollywood actor and Governor of California. Very few bodybuilders have had a similar impact on the sport. 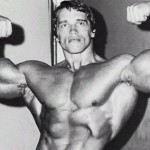 Born in Austria, Schwarzenegger’s interest in bodybuilding began in 1960 when he visited a local gym. Five years later, he won the Junior Mr. Europe contest. This contributed to his desire to achieve fame and notoriety beyond Europe. Soon, he traveled to London where he won his first Mr. Universe competition in 1967. As the father of bodybuilding, Joe Weider is also credited with the supplement industry’s popularity in healthy living. Weider has trained numerous of bodybuilders who later charted their own path in the industry. Bill Phillips is credited with revolutionizing the supplement industry with performance nutrition products. Phillips is also known for popularizing the transformation contest that is still promoted among trainers and fitness companies. Before his death at age 96 in 2011, Jack LaLanne managed to make a tremendous contribution to the professional fitness industry. LaLanne is the creator of many plate-loaded machines used today. Even before Richard Simmons and the Atkins diet, LaLanne became a national celebrity by inspiring people to eat healthy diets and exercise on a regular basis. His television show began airing locally in San Francisco in 1951 before going national in 1959. The show remained on the air until the mid-1980s. It is hard to imagine that Tony Horton, the originator of the P90X, was not athletic as a teenager and his interest in fitness did not evolve until his college years. 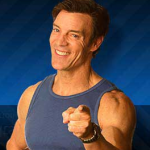 You could imagine, however, that calling this product the Tony Horton and Beachbody marketing machine is redundant. The P90X is has overwhelmed the infomercial world because of its popularity. His exercise regimen consisted of building the body with wide shoulders and a tapered waist by doing more in less time. Arnold Schwarzenegger and Lou Ferrigno are just two popular names that benefited from Gironda’s exercise and diet regimen. 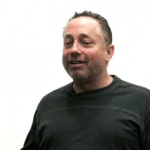 Greg Glassman’s CrossFit program has changed the fitness industry. Beginning in 2001, CrossFit started an affiliation program in 2005 with 18 affiliates. By 2009, the program boasted more than 1,000 worldwide affiliates. Now, the franchise includes CrossFit Games that attracts hundreds of participants throughout the U.S.
Dave “Scooter” Honig has contributed to the fitness and glamorous looks of many celebrities and professional athletes. Some of these big names include LL Cool J, Fantasia, Leonardo DiCaprio, Tyler Perry, Flex Alexander and Ricky Yune. Scooter is the co-author of several books including LL Cool J’s best-seller “LL Cool J’s Platinum Workout” and “Ringside Training Principles.” As a nutritional specialist, Scooter has appeared on a number of television shows such as Access Hollywood, The View, The Today Show, VH1 and Extra. 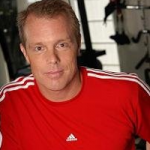 As a Beverly Hills personal trainer, Gunnar Peterson is credited with training athletes, actors and celebrities. Peterson is known for trying innovative methods to keep his clients in shape. The number of trainers he has inspired is not easy to quantify. He is an editor for the Muscle and Fitness magazine. Gunnar is also involved in various capacities with several other magazines such as the advisory board for Fitness, a Clean Eating contributor and with Glamour as a contributing editor. 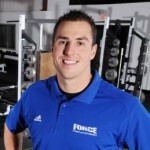 Gunnar is a graduate of Duke University and is certified by the National Strength and Conditioning Association. Cassandra Forsythe-Pribanic has an MS in Human Nutrition and Metabolism and is a registered dietician. 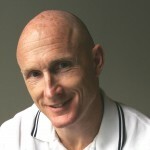 As a nutritional expert, Forsythe-Pribanic is also certified as a sports nutritionist. She co-authored a guide for women who want to achieve muscle success. With a Ph.D. in Kinesiology from the top doctoral program for this degree, the University of Connecticut, Dr. Forsythe-Pribanic runs a group fitness facility called Fitness Revolution Vernon located in Connecticut. In addition to her academic and book success, Dr. Forsythe-Pribanic has real-life experience with helping people stay fit. Sally Moss oversees the Women’s Strength Training Network Facebook page to answer questions regarding functional fitness and strength training. Moss’s fitness competitions include weightlifting, power-lifting and strongwoman. She teaches workshops through Strength Ambassadors, the training company that she owns. One workshop in particular is the Ladies Who Lift weight training course. Krista Scott-Dixon is an inspirational fitness expert who currently works as the editor-in-chief of Spezzatino. This is an online food magazine that also participates in charitable acts by raising money for the Healthy Food Bank. Scott-Dixon has a Ph.D. in Women’s Studies and is a voracious writer. 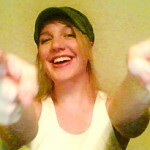 Her blog, Stumptuous.com, is the place for strength trainers new to the fitness regimen and experienced bodybuilders. The blog has something for everyone: appropriate weight training regimens during and after a pregnancy; programs for beginners; book reviews, nutrition tips and interviews. Dr. Scott-Dixon’s blog is a popular, highly accessible blog that carries great information for everyone. The fun-to-read material has yet to meet an enemy. Valarie Waters has 17 years of experience working with celebrities who need to prepare for that all-important movie role, magazine shoot, special event and award ceremony. This experience has earned Waters the title of premier personal trainer as a producer of good results fast. She has been featured in some of the top-rated publications such as Vanity Fair, Self, People, and In Style. Hollywood’s elite look to Waters because of her reputation as a fitness problem solver. When she is not working with her popular clients, Waters develops programs and products to continue her message of being fit and fabulous. She now has Valslide and Red Carpet Ready available online. Waters also works on projects to educate the public about the importance of good nutrition and staying fit. 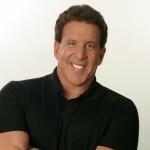 Jake Steinfeld has a personal fitness training career that began more than 30 years ago. 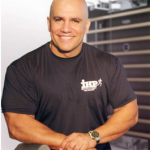 He is the chairman and CEO of Body by Jake Global® and continues to contribute to the fitness industry with successful exercise equipment such as the Tower 200 that he launched in 2009 with Randy Couture, the five time MMA champion. Steinfeld believes in the philosophy that exercise should not be tedious. Rather, exercise should be fun and easy for people to stay motivated to achieve success. As an example, Tower 200 is an affordable, innovative solution to having a home gym. Additionally, Steinfeld has created FitOrbit®, a web platform fitness solution to match consumers with professional trainers. Consumers have an opportunity to get in shape and maintain an active, healthy lifestyle. Kelli Calabrese wears many hats as a business owner, author, international presenter, fitness expert, editor, spokesperson and the mother of two. Calabrese’s passion for fitness was sparked at age 13 when she joined a fitness class. With a family history of cancer and heart disease, Calabrese made the conscious decision early on that health and fitness would be a top priority. She received a fitness certification at 17 and has been helping others ever since. By age 22, Calabrese had three science degrees that gave her the academic foundation needed for a fitness career. She also has 20 certifications related to fitness and nutrition. Calabrese has the authority to prescribe exercise programs for children, athletes and healthy adults. She is also certified to work with people who have special health conditions and special needs. Greg Justice is a training veteran with more than 20 years of experience and tens of thousands of hours of training under his belt. Working with both athletes and non-athletes, ee is credited with laying the groundwork for others in the personal training industry. Justice opened Kansas City’s first personal training studio in 1986 and has remained active in the fitness industry as a personal trainer, club manager, corporate wellness supervisor, writer and adjunct professor. His leadership is recognized by the many trainers he mentors. Justice holds a bachelor’s degree and master’s degree in Health and Physical Education, and Exercise Science, respectively, from Morehead State University. He is also an AFAA certified personal trainer. The path as an influential trainer began at the age of 12 for John Spencer Ellis. His father gave him a health club membership for his birthday, and he knew personal development and fitness were his calling. Years later, Ellis began a personal training business with just $2,000 and a 400 sq. ft. studio apartment. Now, those humble beginnings have become a multi-million dollar corporation that provides products for personal development and fitness worldwide. As a Hollywood consultant on fitness tips and lifestyle techniques, Ashley Borden has a distinctive approach to keeping her clients in shape. Borden has worked with many celebrities and athletes including Mandy Moore, Christina Aguilera, Ryan Gosling, Nick Swisher and Matt Hughes. She is also a master trainer with coaches and fellow personal trainers. Her personal struggles with eating disorders and body image has enabled her to transform the negative into a positive viewpoint. 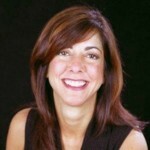 Borden’s talent and skill makes her one of the most wanted experts in the industry. She brings humor as well as thoughtful insight to the methods she gives to clients. Borden has been in magazines such as Elle, InStyle and Vogue. She volunteers with breast cancer survivors and at-risk youth. Based in Atlanta, David Buer has over 12 years of experience as a personal trainer for popular and not-so popular people. Buer helps celebrities, world famous athletes and business professional achieve their desired fitness and health goals. He shares his expertise in functional strength training, weight loss management, nutrition, corrective exercise and general fitness. Buer holds certifications with prestigious organizations in the fitness industry such as the American Council on Exercise (ACE), International Sports Sciences Association (ISSA) and the National Strength and Conditioning Association (NSCA). Buer has organized many youth athletic programs where participation has earned scholarships for some of the high school athletes. His athletic background includes wrestling, swimming, kickboxing, football, and track and field. Paul Mort has earned a reputation in the U.K. as the Boot Camp King with his successful North of England business. Mort travels throughout the U.K. teaching his strategies to exercise instructors and other personal trainers. Men’s Health Craig Ballantyne describes Mort as one of the top personal trainers in the U.K. He has been featured on BBC radio 5 Live, ITV’s North East Tonight and several publications. Mort owns Precision Fitness and created a revolutionary fat loss system called M.E.L.T. Paul Chek is the founder of the C.H.E.K. Institute where he conducts coaching sessions on exercise, lifestyle and performance. With more than 25 years of clinical practice, Chek has garnered international acclaim for a holistic approach to a healthy and fit lifestyle for many people. In addition, Chek has authored many books and courses on professional development. His institute has prepared many fitness professionals to work with clients in various settings. Graduates of his programs are prepared to work in rehabilitation settings, for professional teams and professional golfers. Moy is the owner of Personal Training Studios in London. 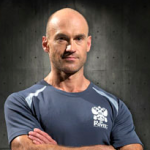 As one of the top fitness experts in the U.K., Moy brings more than eight years of experience to the field. His certifications in sports medicine and personal training have helped Moy craft a multi-disciplinary approach to fitness. 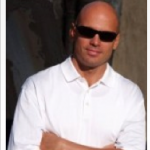 He attracts clients from various backgrounds such as martial artists and Hollywood celebrities. Moy has created health promotion programs such as the Integrated Movement Training™, The F.I.T. System™ and The Power Principles™. 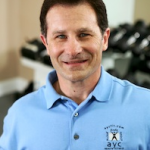 Phil Kaplan is known as the Father of Personal Training because of his extensive career in the fitness industry. Kaplan has made many contributions through his passion to change people’s lives for the better. 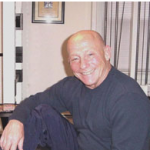 He began in the late 1970s as a part-time instructor at a New York health spa. 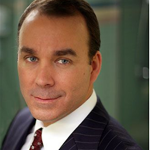 Eventually, Kaplan was named the national director of a large international health club chain. 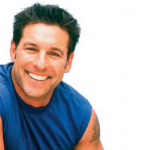 Kaplan continues to be a towering force and advocate in the fitness industry. His philosophy of fitness truth, which focuses on integrity, accountability and honesty, influences thousands of personal trainers who have followed his footsteps. Juan Carlos Santana is the author of multiple videos, books and articles that promote human performance and training methods. With an energetic approach to life, Santana is one of the most in-demand speaker and consultant. Currently, Santana works with educational institutions, professional sports teams, equipment manufacturers and government agencies. The training methods that Santana employs have been applied to various population groups such as elite athletes, geriatrics and rehabilitation patients. He has taught sports and training courses at Florida Atlantic University. 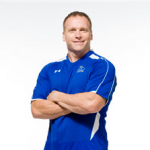 His memberships and certifications include a certified Senior Coach for the USA Weight Lifting, a Health Fitness Instructor with ACSM and NSCA’s certification as a strength and conditioning specialist. Nia Shanks has a training philosophy that encourages individuals to achieve the best results in little time. With her resounding motto of setting training and eating habits that fit one’s lifestyle, Shanks consistently promotes the belief that exercise and diet choices should be simple. Shanks is a fitness industry leader who is part of the Beautiful Badass revolution that swept the nation. 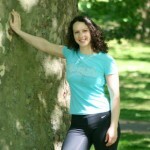 She is a personal trainer and writer dedicated to promoting nutrition and strength training to all who will listen. Shanks vibrant personality is seen in her personal life in her love for moon walking (the dance) and dead lifting. 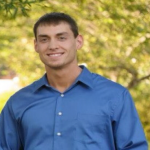 Shanks is a certified personal trainer with a bachelor’s degree in exercise physiology. 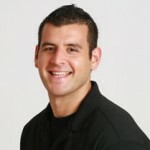 As a performance training specialist in Maryland, Neghar Fonooni offers 10 years of fitness training experience. During this time, Fonooni served in the U.S. Air Force as an Arabic Linguist and physical readiness training leader. Her experience spans training individuals and athletes of all levels. Her passion for adopting conditioning and training methods that offer significant results is what keeps Fonooni in high demand. She is dedicated to improving people’s lives from the inside out. 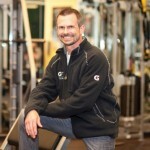 The achievements of Gary Gray are many within the fitness industry. Gray is affectionately known as the Father of Function because of his dedication to improving the health and fitness of every individual he encounters. He started The Gray Institute, an internationally acclaimed organization that contributes to the field. Through rehabilitation, prevention and performance services, participants can access innovative solutions for training and conditioning. The Gray Institute also prepares professionals in both the training and medical fields with a mentorship program. The GIFT Program is a 10 month opportunity for these professionals to receive a comprehensive educational experience. The hybrid of live seminars and distance learning courses is an opportunity to learn more about Applied Functional Science. Alwyn Cosgrove began his path towards the fitness industry by reading and studying training material. Ultimately, Cosgrove pursued formal academic training at West Lothian College and the University of Liverpool. Early exposure to martial arts made him a suitable candidate as an assistant martial arts and fitness instructor. He has also had access to many top fitness coaches and professionals. Cosgrove contributes regularly to Men’s Health magazine. He is also the co-author of four books while training staff at his company, Results Fitness. He runs the business with his wife, Rachel in Santa Clarita, California. Geoff Neupert has been in part of the fitness industry for more than 17 years. He has worked in various capacities throughout his time as a business owner, coach, author, presenter and personal trainer. Neupert has participated in weightlifting competitions and is the owner of Integrated Fitness Solutions. Neupert holds certifications through many of the nationally recognized agencies in the fitness industry such as RKC, NASM, NSCA and ACE. His love for kettle bells is a fond reminder of the Olympic lifts in which he used to compete. As an author and neurophysiologist who trains bodybuilders, fitness enthusiasts and athletes, Chad Waterbury has enjoyed helping others achieve their fitness goals. 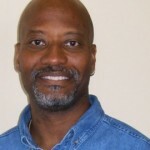 Waterbury attended the University of Arizona where he earned a master’s degree in physiology. During his academic studies, Waterbury focused on neurophysiology and its association with human performance and movement. 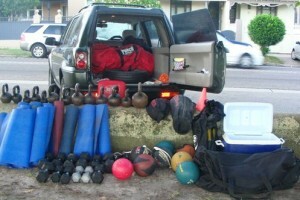 This prepared Waterbury to make changes in his training methods for non-athletic and athletic clients. Workout sessions are shorter and produce better results for his clients’ strength and muscle development. People all over the world who are devoted to fitness have taken advantage of Stephen Holt’s techniques and tips. Featured in numerous magazines such as Woman’s Day, Fitness, Shape, Men’s Health, Holt has earned the reputation as the Baby Boomer Fitness Expert. He is a best-selling author and is regularly in demand with busy moms looking for convenient ways to fit weight loss into their schedules. After educating other fitness trainers, Holt decided to start 29 Again Custom Fitness, a health club that combines CrossFit and Vector Training exercises. The program was named by the U.S. Commerce Association’s Health Club and Gyms Division as the Best of 2012 in Lutherville/Timonium. Georgette Pann believes in a combination of nutrition, yoga, diet, weight training and cardio exercises for optimal health and fitness benefits. She received an undergraduate degree in health and physical education. Pann also holds certifications as a nutritionist and bootcamp trainer. She is the owner of NutriFitness Personal Training Studio and brings more than 20 years of experience to the health and fitness field. Her training includes women’s fitness, post-rehabilitation and bodybuilding sessions. With their reputation as the Boot Camp Girls, Alicia Streger and Carrie Kukuda have taken separate, but similar, paths that eventually brought the two together. Alicia Streger is committed to helping people reach their fitness goals. She graduated from the University of North Carolina at Greensboro with a degree in exercise and sport science. Streger also holds a certification as a Strength and Conditioning Specialist (CSCS) with the National Strength and Conditioning Association. She became a personal trainer at a sports club soon after moving to California. Carrie A. Kukuda is a certified trainer and life coach who began as a girls’ swim coach. Kukuda is also dedicated to improving the lives of others and has worked in the fitness and nutrition field for more than 17 years. Nick Tumminello founded the Performance University in Baltimore to deliver educational services in performance training and health to athletes, physique competitors and exercise enthusiasts throughout the world. Tumminello also serves as a strength coach and fitness expert. He is very popular because of his coaching and educating abilities. As an innovator and leader in human performance training, he is credited with developing a ground-breaking device that is used by thousands of therapists, coaches and trainers. Randy has 33 years of helping people transform their lives. He has Thousands of clients move closer to their goal of a healthy and fit life. Randy has also helped transform people into champions in their field–7 Ms. Michigans, 2 Ms. Universe, Ms USA, too many to count regional, state and local champions. Strength-we have that covered also–over 41 state, national or world records. Mentored-have helped train up trainers to go out on their own and have 7 former client/trainers who have established successful businesses also. Mark Stone is a graduate of Capital University with a degree in exercise science. Stone’s personal training career began during his junior year in college and he currently coaches middle school track. He is also a fitness manager at Metro Fitness North. 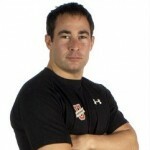 Stone is a certified personal trainer through the American College of Sports Medicine. He also holds a certification from the National Academy of Sports Medicine as a performance enhancement specialist. Following those that came before him, Stone is setting the stage for a long and progressive career in the fitness industry. 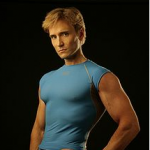 Douglas Brooks is an internationally sought after personal training expert. Currently, Brooks serves on Sweden and Belgium’s training and educational advisory boards. He is also the vice president of the International Sports Trainers Association (ISTA). For more than 17 years, Brooks has contributed to the fitness industry as a lecturer, author and video personality. He was an assistant professor at the University of Michigan. He has authored five best-selling books. Additionally, he is a regular on the Health Club Cable Network. 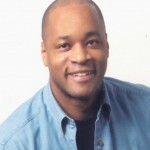 Michael K. Jones is a 10 year veteran in the personal training field. Jones has also competed as an athlete in cross-country and road races. His athletic skills were also on display in triathlon events and lacrosse. Combined with his qualifications as a personal trainer and coach, Jones has helped clients at various age ranges and fitness levels. Gregory Florez is knowledgeable in personal coaching; fitness and technology; fitness product trends; and, personal coaching. Florez’s accomplishments with book publishing credits, IDEA board membership and an American Council on Exercise (ACE) spokesperson has positioned him as a leading expert in the field. Florez is also a regular contributor to industry conferences and publications. He has been featured in Men’s Health, The Wall Street Journal, Smart Money and Good Housekeeping. Florez is also a former Nike athlete. Many believe that Pavel Tsatsouline deserves sole credit for changing the fitness industry with the introduction of kettlebell benefits. As a prominent fitness instructor from Russia, Tsatsouline introduced the Western world to the traditional fitness tool as a mean to strengthen and exercise. Tsatsouline teaches his fitness techniques of low-tech/high concept to law enforcement agencies and the U.S. military. John Parillo has spent two decades bulking up the bodybuilding industry with state-of-the art quality products. His passion for educating people about proper bodybuilding techniques has helped to build his reputation. Parillo’s company sells supplements and educates customers on the importance of nutrition. He believes that an educated consumer can reap the full benefits of obtaining and maintaining a healthy physique. Nicknamed Dr. Squat, Dr. Fred Hatfield is three time winner of power lifting world championships. He earned his nickname by successfully performing a 1,014 pound squat while weighing 225 pounds. To accomplish this fete at age 45 makes Dr. Hatfield one of the best in the industry. Dr. Squat is also a co-founder of The International Sports Sciences Association, which certifies personal fitness trainers around the world. 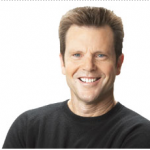 Bob Greene is the highly acclaimed founder and creator if Best Life, a program that has helped millions of people find their best selves through a three step weight loss program. Greene is a best-selling author who specializes in fitness and weight loss. With a career that has lasted for more than 30 years, Greene became popular as the personal fitness guru of Oprah Winfrey. 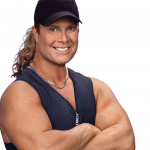 He has released DVDs and fitness games that promote healthy weight loss workouts. Internationally acclaimed Todd Durkin has built a stellar career as a personal trainer to dozens of athletes in the MLB and NFL leagues. In addition, Durkin trained an Olympic gold medalist and two winners of the Heisman Trophy. As a performance enhancement coach, speaker and author, Durkin has broadened his capacity to affect many more lives. 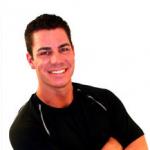 Durkin is the founder and creator of Todd Durkin Enterprises and Fitness Quest 10. Both programs offer massage therapy, sports performance training, Pilates, physical therapy, yoga, nutrition and physical therapy. Tony Little is one fitness professional devoted to helping people achieve their fitness and health goals. His dynamic personality is expressed through his enthusiastic energy that has labeled him a favorite in the industry. Little has made appearances daytime talk shows and late night entertainment such as The Tonight Show. His infectious personality makes him a favorite of audiences worldwide. Little promotes his formula for success and overcoming obstacles by declaring, “Conceive, Believe and Achieve™”. 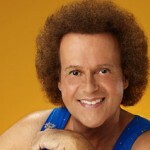 After 30 years of helping millions of women and men lose nearly 3,000,000 pounds of body weight, Richard Simmons is still recognized in the industry. With his infectious enthusiasm, wit and passion for a healthy lifestyle, Simmons continues his worldwide crusade of encouraging people to take control of their weight. After overcoming his own battles with weight, Simmons relocated to Los Angeles where he ultimately began a nationwide fitness movement. His success led to a nationally syndicated show that received several Emmys during its four year reign. Charles Glass has a client list that includes iconic athletes such as Magic Johnson and movie stars such as Wesley Snipes. As a top flight fitness training professional, Glass keeps his focus on his clients’ needs and goals. He is known as an expert of identifying individual patterns that can hinder one person from achieving maximum success. 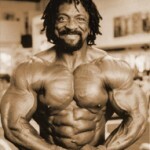 More examples of his genius are professional bodybuilders Jenny Lynn and Silvio Samuel. 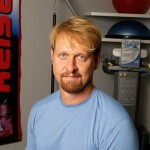 Dave Schmitz is the owner of Resistance Band Training Systems. His interest began as an experiment around 1997 and has grown into a full training system. 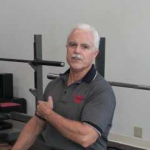 Many have benefited from this focus of Schmitz’s career in the personal fitness industry. Greg Anderson is the infamous personal trainer of former baseball star Barry Bonds. Anderson’s career came to a screeching halt when he was convicted for refusing to testify against Bonds in a perjury trial. This added to the blot on Anderson’s reputation with his links to the Bay Area Laboratory Cooperative (BALCO) scandal. A U.S. federal investigation revealed the use of performance enhancement drugs by professional athletes. The investigation found that Anderson distributed the illegal substances to some athletes on his client list. Travis started in the fitness industry in 2002 after being hospitalized for 3 months in intensive care from meningococcal septicemia. After coming out of hospital and several injuries my passion of playing contact sport for a living was taken away so he turned to what he new best which was helping people achieve there health and fitness goals. Travis opened his first gym Result Based Training in Melbourne Australia. With in 12 months of opening Travis was able to focus on his online program and now has 5000 people coming through monthly and is changing more lives for the better. Joe Dowdell has a motivating teaching style that has made him one of the most sought after fitness experts. As a strength coach and personal trainer, Dowdell has garnered worldwide recognition for his ability to help transform clients into healthy and fit people. He has worked with clientele such as professional athletes, musicians and fashion models. Dowdell is the founder of Peak Performance, a sizable gym that made Men’s Health magazine’s top 10 list two consecutive years. 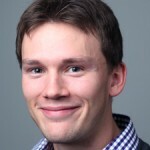 Gray Cook is a physical therapist who has dedicated his career to developing techniques related to functional evaluation and exercise. Cook has combined his advanced assessment practices with a system he developed and reactive-based exercises. The result is a new technique for rehabilitation and performance that enhances motor learning. Both components were essential to the Reebok Core Training System that Cook also developed in 2000. 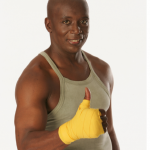 Billy Blanks became a household name along with the Tae Bo fitness craze in the late 1990s. This total body fitness workout system is credited with helping millions of people worldwide achieve healthy results. Blanks devotes much of his time working with his foundation and training the U.S. military. His achievements continue as an acclaimed author, philanthropist and actor. New Yorker John Romaniello is an author, coach and personal trainer who has helped thousands of people for more than a decade. Romaniello has a client list that includes models, actors, producers and musicians who want to achieve fitness goals. 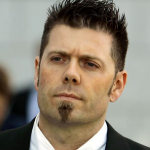 By using his unique methods, Romaniello has also worked with high school, college and professional athletes. His success as an author includes featured articles for print and online fitness publications. Romaniello also created Final Phase Fat Loss, an innovative weight loss program. Denise Austin is a true pioneer of the exercise and sports industry where she has sold over 20 million videos and DVDs on exercise regimens. As the author of more than 10 books, Austin has also had the longest running fitness show. With a zest for life and a trademark positive, can-do spirit, Austin has endeared millions of fans worldwide. Dubbed America’s Favorite Fitness Expert, Austin is a multi-talented professional who has made great contributions to the field. Her career began as an aerobics instructor in Los Angeles. 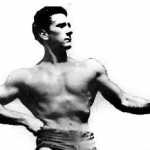 Austin also was a co-host with Jack LaLanne on The Jack LaLanne Show. After coming in first place in 2001 for the Million Dollar Body-for-Life Body Transformation Challenge, Joel Marion knew that he had found his calling. Since that time, Marion is credited with helping thousands of people change their eating and exercise habits, which ultimately makes a positive difference in how they look and feel. Marion has worked with people in over 20 countries through his Premium Web-Based Fitness Coaching program. His clients include people from all walks of life and professional backgrounds. BJ Gaddour used his experience as a one-on-one personal trainer to create videos to help others in their weight-loss goals. Using laughter and skill, Gaddour teaches viewers how to maximize their personal training sessions to achieve perfect body results. Gaddour is the CEO of StreamFIT, which is a series of streaming workout training sessions that is compatible with any web-enabled device. This new school approach helps many people achieve toner bodies and muscle growth through calorie burning exercises. Chalene Johnson is a motivational speaker who promotes fitness and lifestyle techniques. Being a self-made millionaire legitimizes the information Johnson shares with her broad audience. She is a champion for others in helping them lead a full life. Through a broad range of mediums such as weekly video messages, workshops, blogs and live internet chats. Johnson is able to reach thousands of people with her positive message. 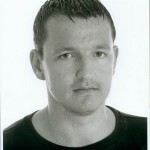 IDEA Fitness voted Johnson one of the top three instructors in the world for four consecutive years from 2005 to 2008. She has appeared on LIVE! with Kelly and The Talk. Consumers and the media look to Jackie Warner for her expertise in fitness. Warner contributes to Fitness Rx, Fitness magazine and The Huffington Post. In addition, Warner stars in several best-selling DVDs. Warner’s goal is to help people take control of their lives through an online fitness and wellness center. Eat.Move.Believe is a program filled with healthy recipes, workouts and lifestyle tips. An encounter with Patrick Goodeau offers immediate insight as to why he is considered one of the best in the fitness industry. With style, creativity and enthusiasm, Goodeau reaches people in over 35 countries with his passion for fitness and a healthy lifestyle. His career began as a collegiate cheerleader while attending the University of Texas-Austin. He earned a BBA degree in marketing and he landed in Los Angeles where the foundation for his solid reputation was laid. Mark Verstegen is recognized internationally as an innovator and leader in the athletic performance training field. As founder and president of the Athletes’ Performance, an organization that sets the standards for sports science training, Verstegen has many high performing companies on his roster. Adidas, Sheraton, EAS, GoFit and Gatorade are just a few names recognized throughout the fitness and athletic fields that have received consultation from Verstegen. Many of the world’s best athletic champions have benefited from training in the state-of-the-art facilities offered by Athletes’ Performance. Jennifer Nicole Lee is the visionary leader behind JNL Worldwide, Inc., a successful fitness and wellness corporation. From books to digital products and exercise equipment, Lee offers customers in more than 110 countries the best in fitness tools. Her global brand recognition has made Lee a highly recognized and in-demand spokes model and fitness celebrity. Dustin Maher’s mother motivated him to become a personal trainer and fitness guru. After watching her work as a stay-at-home mom, devoting her time to the needs of her children and husband, Maher recognized the need for mothers to take care of themselves. Whether mothers work outside or inside the home, Maher is dedicated to helping mothers everywhere look and feel better. Maher has a bachelor’s degree in kinesiology exercise science. 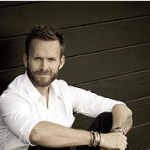 He is a motivational speaker, writer and fitness instructor who lives in Madison, Wisconsin. Holly Rigsby has a Master of Arts degree in teaching from the University of Louisville. She is dedicated with working with moms who have difficulty losing the stubborn fat after the birth of a child. As a friend, trainer and coach, Rigsby has helped more than a thousand moms reclaim their pre-baby body. She views her mission to educate and inspire women essential to helping them claim personal goals and dreams. It is no wonder Rigsby is viewed as the #1 Busy Mom Fat Loss Expert in America. Tyler English is a no-nonsense fitness professional who believes in achieving results fast and completely. English is an international best-selling author who is recognized as a leading fitness expert in Connecticut. 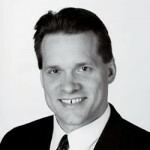 He has founded programs such as the Connecticut Fitness Boot Camp and Connecticut’s Most Elite Fitness Program. 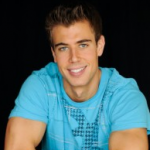 Tyler also owns two personal training facilities in the state. His vision is to create an exercise space where people are serious about their commitment to make healthy changes to their lifestyle. Robert dos Remedios began a full-time career training professional athletes after his college career in football ended. Since graduating from the University of California, Berkeley, dos Remedios has enjoyed more than 23 years of strength and conditioning training. As a highly sought-after speaker regarding conditioning, dos Remedios shares his innovative training techniques on explosive training, cardio-strength program design and Olympic weightlifting applications. Mike Geary is the best-selling author of “The Truth about Six Pack Abs.” This eBook has attracted the attention of more than 400,000 readers in 163 countries and counting. Geary has also co-authored the latest best-selling nutrition program that teaches people how to turn their bodies into a fat burning machine. 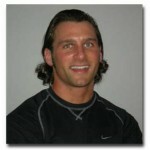 Geary has a bachelor’s degree and is certified as a nutrition specialist and personal trainer. 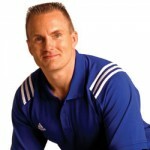 His areas of specialty include functional strength, power training and body fat reduction strategies. Bill Hartman’s career spans more than 20 years in athletic competition and as a fitness trainer. Hartman finished in the top 10 in the National Junior Olympics. His sport was the javelin competition. 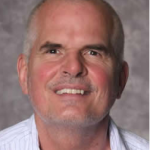 Being a sports performance coach and physical therapist has placed Hartman in a variety of settings where he specialized in sports medicine and orthopedics. He is the co-owner of the Indianapolis Fitness and Sports Training facility. 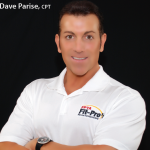 As a personal training with multiple certifications, Dave Parise is recognized in the personal fitness business for his cutting edge exercise regimens. With more than 24 years experience in human performance, strength training and exercise science, Parise has changed fitness business standards on proper methods of training. Parise was inducted into the National Fitness Hall of Fame. He has also achieved national recognition as a Top 100 personal trainer in the U.S.
Rachel Cosgrove a best-selling author and consultant for companies such as Nike and Gatorade and has contributed to several books. With more than 20 years of experience in personal training and helping others, Cosgrove has earned her reputation as a personal fitness guru. She opened Results Fitness in Southern California with her husband. This facility offers individualized training programs combined with nutrition and supplements. Ryan Ketchum has developed different training systems for his clients to produce ultimate fitness results. He is an expert in the weight loss and fitness field after experiencing his own success as an athlete. It is not uncommon for anyone following Ketchum’s regimen to lose 50, 60 or 100 pounds. Ketchum experienced this firsthand when he managed to transform his body from 330 pounds to 220 pounds within a year while he was a student at Indiana University. Callie Marunde began resistance training at the tender age of four after telling her father she wanted muscles. She improvised with lifting soup cans and never looked back. Marunde maintained an active lifestyle during her high school career with gymnastics competitions and cheerleading. By her junior year in college, Marunde competed in a fitness contest. She won the Ms. Cleveland Bodybuilding Show in 2002. Marunde continued to impress in various bodybuilding competitions with the muscles she always wanted. With a bachelor’s degree from the University of Northern Iowa in professional editing, Jen Sinkler contributes her literary talents to the fitness magazine world. Sinkler is the editorial director of Experience Life magazine where she edits, writes and assigns articles to help others lead a physically active life. Sinkler is also certified as a kettlebell instructor through KBA and RKC. She is also certified as an Olympic lifting coach and has coaching certifications from CrossFIT and TACFIT. 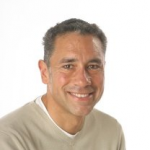 Since 1993, Antonio Valladares has worked in Los Angeles and New York as an athletic coach, massage therapist and a certified personal trainer. 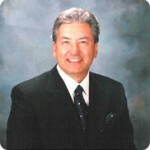 Valladares has used his creative skills to develop a unique functional exercise method. Through the integration of martial arts, nutrition, and athletic conditioning with yoga and functional training, Valladeres offers his clients an exceptional training experience. 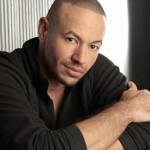 He is also the creator of a personal training and consulting company based in New York City. Nate Green began his work with average clients and professional athletes in 2002 as a personal trainer. Green wanted to offer more to clients who were looking for ways to pursue a healthy and fit lifestyle. He used his love of writing as a way to reach more people. Soon, he became a fitness writer with a full-time opportunity for Testosterone Nation. Green is also a regular contributor to other popular fitness magazines. 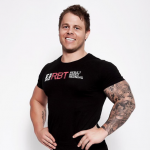 Adam Mckenzie is the Founder and Owner of Higher Level Training, which is one of the highest earning PT studio and boot camp businesses in Australia. He is also the Creator of Fitness Contests and Challenges. This well-known fitness expert from the hit series “The Biggest Loser” is not limited by her television success. Her audience of nearly 15 million weekly viewers has helped to broaden her platform for promoting good health and fitness. Michaels also has a comprehensive online program where she shares her abundant knowledge of fitness and weight loss. Nicki Anderson started a home-based business in 1992 for personal training. Her goal was to empower clients to maintain healthy lifestyles and build their self-esteem. Fast forward 20 years and Anderson made the decision to sell Reality Fitness so she could focus on health and wellness issues. 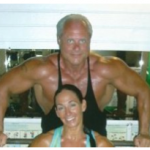 This dynamic duo makes great contribution to the fitness industry as personal trainers. Katrina Hodgson is certified by the Aerobic and Fitness Association of America and National Academy of Sports Medicine. Her primary focus is helping clients achieve holistic wellness. 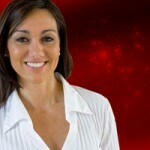 Hodgson’s partner in fitness, Karena Dawn is an accomplished athletes and lifestyle and fitness coach. The ladies have developed an online fitness channel that offers visitors cooking segments, workout videos and a lifestyle series. Zuzana Light is a fitness guru sensation on YouTube. She made the transitions with a certification in personal training from ISSA. Participating in the hit series has given Harper a broader platform to express his passion for fitness and healthy living. He now has his own books, speaking engagements and DVDs to spread his message. Dr. Donald Chu is certified with the National Strength and Conditioning Association (NSCA) and the National Athletic Trainers Association (NATA) as a personal trainer and strength specialist. He is a professor at Ohlone College located in Newark, California. Since 1993, he has had consistent involvement with the synchronized swim team. Tom Venuto has a website dedicated to educating people on the importance of fitness and weight loss. 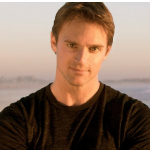 He is the author of a best-selling e-book about nutrition and fat loss. Venuto started in the fitness business in 1989 and has sculpted his career as a best-selling author, fitness model, personal trainer, health club manager, motivational coach and nutrition consultant. Christian Thibaudeau is at the top of his field as a strength training coach. Athletes and coaches sing Thibaudeau’s praises because of his teachings and beliefs about fitness. His work includes athletes in more than 26 different rankings in sports. His own competitions include bodybuilding and Olympic weightlifting. Thibaudeau is also an author and training DVD producer. 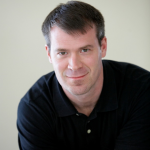 John MacLaren has over 15 years as a certified fitness specialist. He holds certifications in CrossFit, sports and endurance training, resistance training, post-natal health and fitness, and physical therapy for special populations. This broad range of certification allows MacLaren the flexibility to help many different people. Jen Heath has maintained an active lifestyle since junior high and high school when she started attending aerobics classes, running track and playing soccer. During her college career, heath started the Body for Life program and enrolled Army ROTC cadets. Heath began training for bodybuilding competitions in 2006 and is now a NGA professional body builder. She is also certified as a personal trainer. As a veteran of the Coast Guard, Brian Devlin began his fitness career in 2001. He has developed band exercises that people can use individually or during boot camp classes. Barry Jay is a native New Yorker who decided to take his career to the opposite coast. As an entrepreneur and workout instructor in Los Angeles, Jay is enjoying the success of Barry’s Bootcamp. This revolutionary gym franchise gives Jay room to pursue other talents such as songwriting. 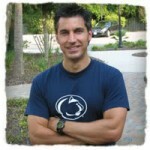 Jay Cardiello is recognized around the world as an expert in nutrition and fitness. He is a personal trainer and contributor to different media outlets. Cardilleo is the founder of JCORE, a program that offers three levels for a healthy body. Cardiello is no stranger to many of Hollywood’s big names whenever they need to improve their appearance. JCORE allows Cardiello to offer the same experience to ordinary citizens who also want to be their best selves. Mari Winsor is a fitness expert who is credited for the widespread popularity of Pilates. Before this exercise became all the rage, Winsor opened her first Pilates studio with her innovative workout regimen called dynamic sequencing. Based on Joseph Pilates’ techniques, many celebrities, professional athletes and musicians in Los Angeles and beyond began to come to Winsor’s studio. Faith Dey has more than 20 years in the health and fitness industry. As the former co-host of ESPN’s Crunch Fitness, she is a nationally-recognized fitness specialist. Dey is also a featured instructor on several fitness videos. Dey also presents continuing education workshops to fitness professionals throughout the country. Featured in Ms. Fitness and Shape magazines, Dey does not hide her passion for helping women maintain health and wellness. 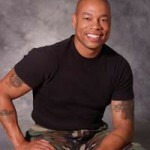 After retiring from the U.S. Marine Corps with more than 20 years of service, Walden parlayed his drill instructor techniques into two reality TV shows, “Celebrity Fit Club” and “Fit Club.” Walden is also a trained marksman and holds black belts for various martial arts. Linda LaRue is a registered nurse and athletic trainer who has earned respect and trust as a core performance guru and fitness expert. With a master’s degree in exercise physiology and sports medicine, LaRue is also the CEO of reZeneration, Inc. This is a multimedia corporation in Los Angeles that focuses on helping people achieve healthy lifestyles. Michael George has transformed the health and fitness industry with his inspirational passion and innovative training techniques. Recognized internationally as an author and motivational speaker, George has become an influential leader in the industry. His story of overcoming a poor body image is a motivation for clients who want to give up. George has worked with many Hollywood celebrities such as Julianne Moore, Christian Slater and Meg Ryan. Basedow created Fitness Made Simple, a best-selling video that has helped thousands of women and men improve their bodies and lifestyles. Beginning in his parent’s basement, Basedow is now seen on television throughout the U.S. and is considered a pop culture icon. DiAngelo is an accomplished athlete who has won more than 20 competition medals. 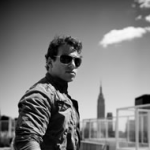 He is one of the top fitness experts and personal trainers in New York. He brings an approach to fitness training that requires stiff dedication to achieve consistently amazing results. 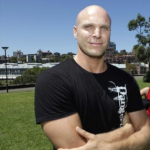 Dan Clay is the founder and owner of Dangerously Fit, an outdoor boot camp program based in Sydney Australia. For the past 11 years Dangerously Fit has transformed thousands of peoples lives with a simple no-nonsense approach to diet and short high intensity workouts that work in the real world. Dan Clay is regularly featured in national magazines & T.V including FHM, CLEO, The Sunday Telegraph, MINDFOOD, Channel 9, ABC Radio and Canal+ amongst others. Sonnon uses Tacfit Commando to train fire fighters, secret service agents, soldiers and special operative personnel. This program is considered one of the best that includes body weight exercises. Sonnon also introduced club bells in strength training exercises, which eventually became a sport. Her ultimate goal is to educate people on how to become healthy and fit for life. Poliquin is an accomplished strength coach who has designed workouts for professional athletes, world record holders and Olympic medalists. His many books have been translated into 12 different languages for worldwide access to his fitness acumen. Poliquin invented the BioSignature Modulation Method, which establishes a relationship between hormonal profiles and where the body stores fat. Wow, thank you Chris! What an honor! Thanks a lot for this list. it’ll help for the my fitness training.